Dunluce is separated from neighbouring communities by four major roadways: 153rd and 167th Avenues, 127th Street, and Castle Downs Road. The roadways provide quick access for residents to other areas of the city. 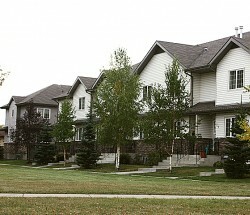 During the oil-driven economic boom of the 1970s, Edmonton expanded its boundaries to accommodate anticipated population growth. 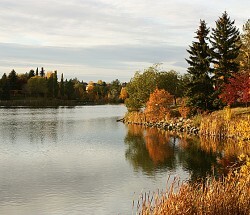 In 1971, the City of Edmonton annexed the entire Castle Downs and Lake District area. The neighbourhood is one of several within the Castle Downs Outline Plan. The Neighbourhood Outline Plan for Dunluce was approved in 1974, and the vast majority of residential construction was completed by the 1980s. 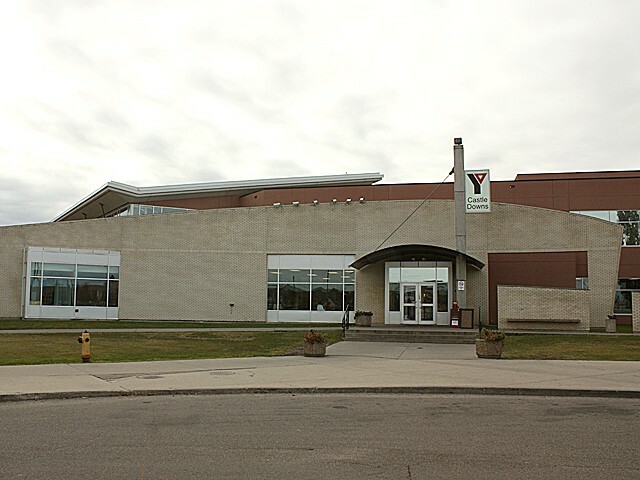 The Castle Downs Recreation Centre is a huge complex located in the southeast corner of the neighbourhood. 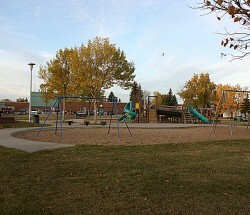 Dunluce also features two elementary schools and a community league in the centre of the neighbourhood, as well as a mobile home park at 153rd Avenue and 127th Street. 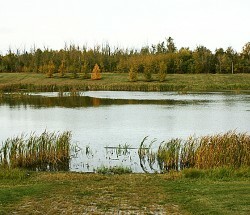 A dry pond is located between 121 Street and Dunluce Road. Dunluce is named after an historical castle on the north coast of Ireland. It was the intention of the developer to name all subdivisions and neighbourhoods in the area after famous castles.